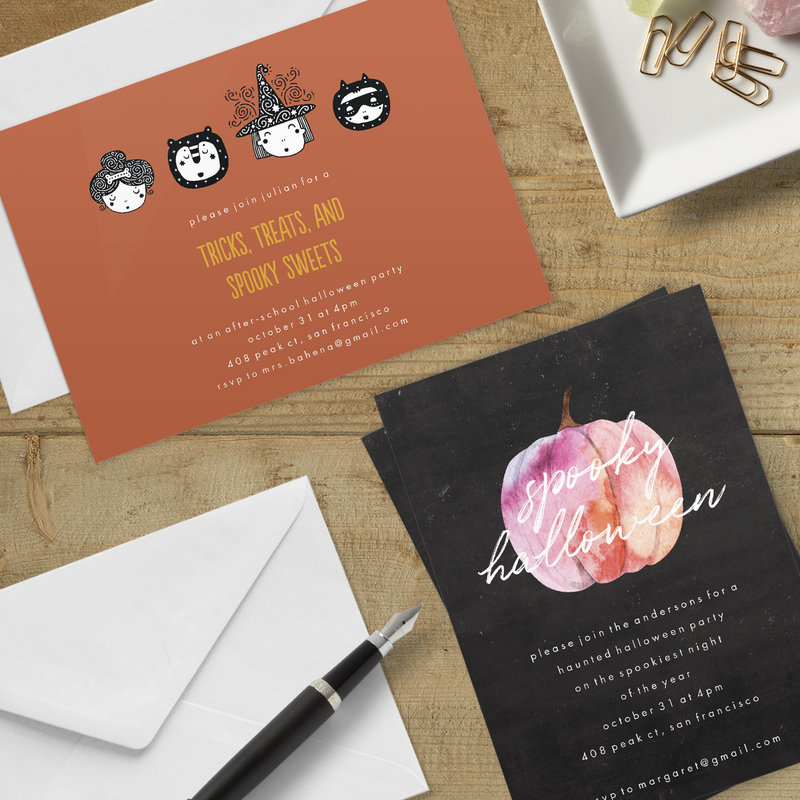 Every spook-tacular party begins with the invitations. Order your favourite spooky set of 20 in one of our fun new designs. 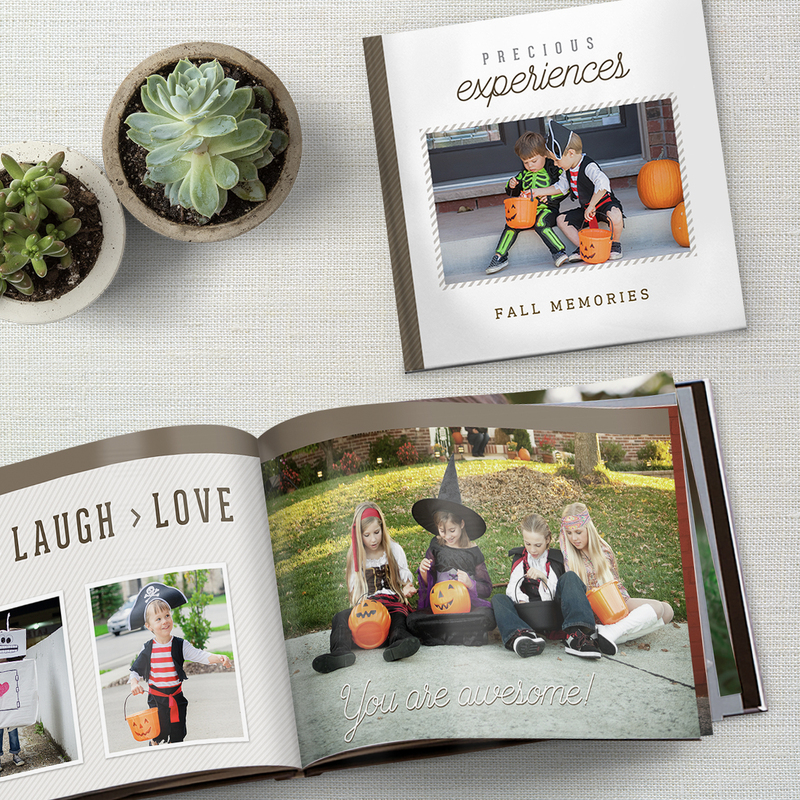 Fires burn and cauldrons bubble over with style in a home filled with boo!-tiful accessories. Create spooky cushions and blankets to snuggle into when the night gets dark and scary, or towels covered in starry constellations to make bath time fun. 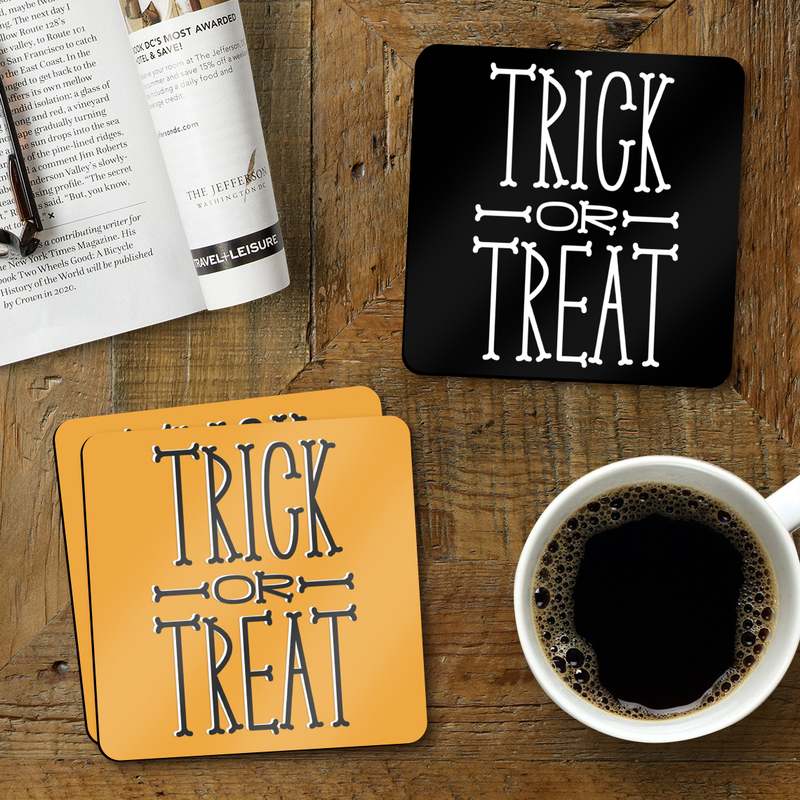 And nothing ghosts together better than mugs and coasters! 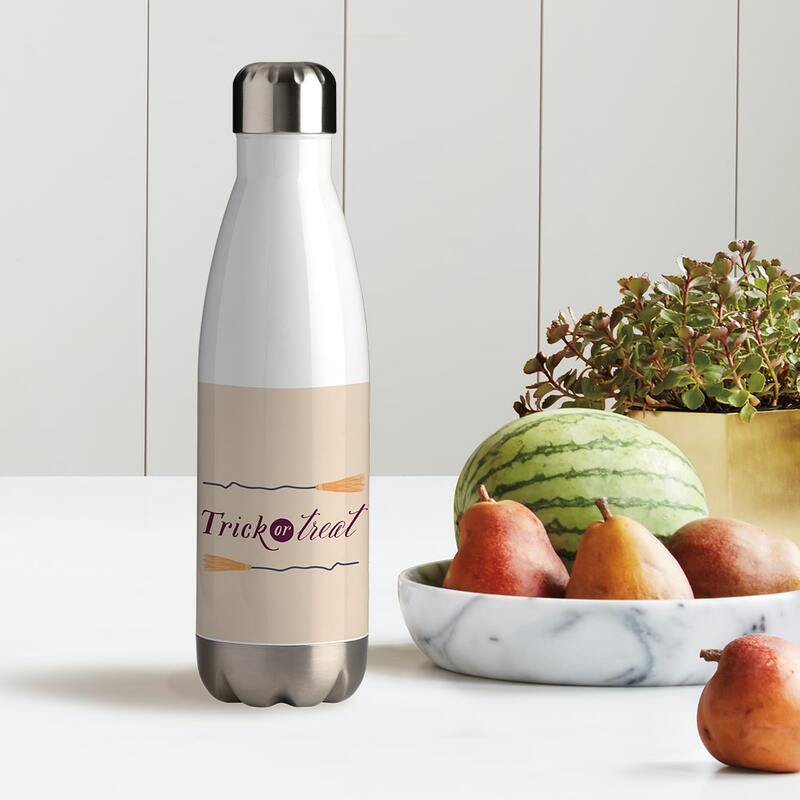 If trick-or-treating is the main event of your evening, our personalised water bottle will help you look alive and less like a zombie through all that walking. 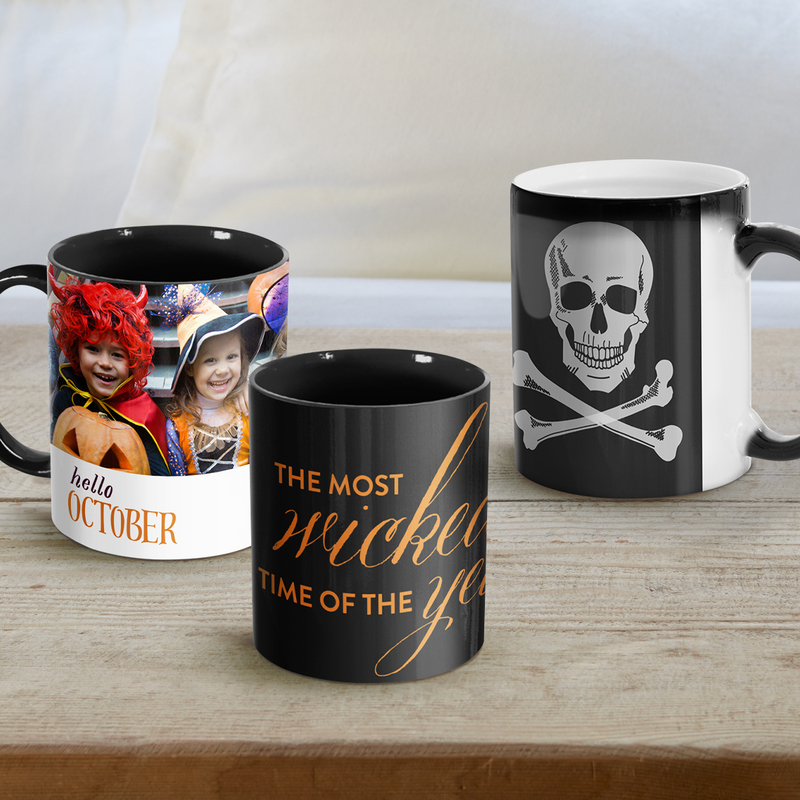 Make our eerie magic mugs with photos that creep out from the shadows when filled with hot beverages, or keep your spirits cool with fun embellishments on our 11oz. mugs in bone-chilling black. Ending the night early? Drop a hint with your home decor—make a poster for the door to designate trick-or-treating times (and kindly nudge neighbours away from ringing your doorbell after hours). 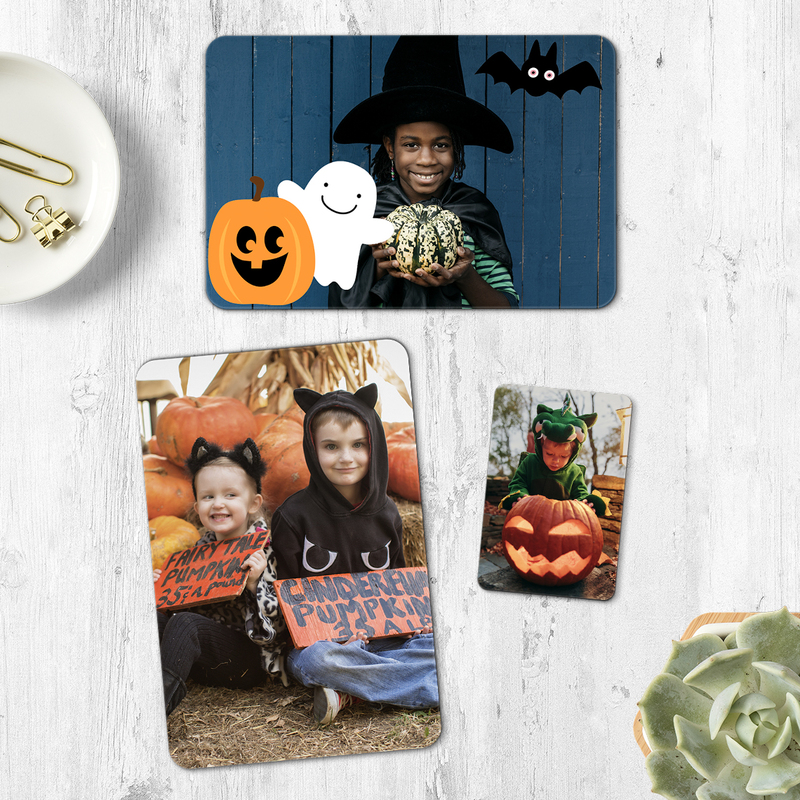 Be sure to take tons of photos of your little creeps and creatures to make keepsakes like magnets, photo books, and metal prints to put on display at home next year. 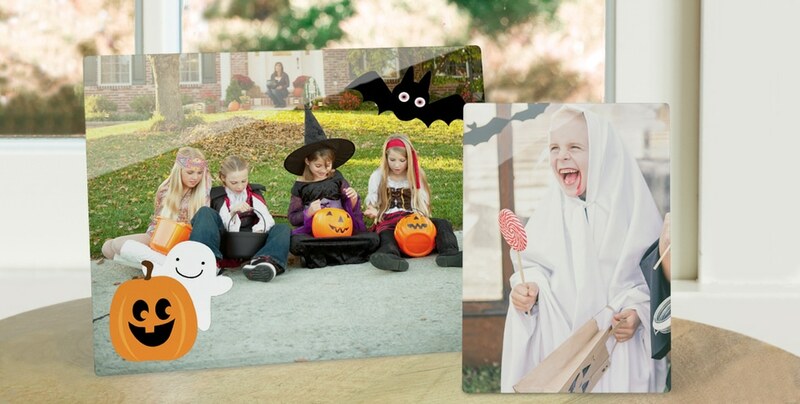 Add fun Halloween embellishments to make them extra special. Now that you’re all set to get party-ready, time to throw on your best costume and have a Happy Hooowll-oween! Check out our Snapfish Deals page for the latest offers and get started now! Tagged as black mug, blackout mug, Coffee mugs, custom coffee mug, custom magnets, design your own, disappearing mug, featured, Halloween, Halloween invite, Home decor, hydro flask, insulated water bottle, magic mugs, Party invitations, party supplies, photo book, photo books, photo gifts, photo panels, Poster, poster prints, snapfish, snapfish app, swell bottle, wall decor, Water Bottles.